The Washington, D.C. producer shares a dizzying and danceable new mix. 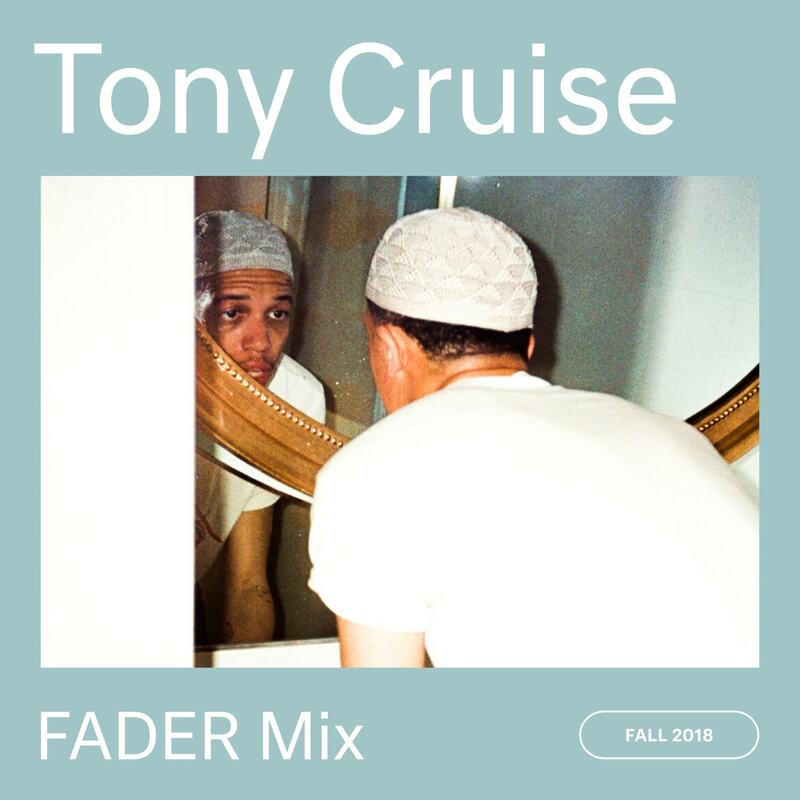 Washington, D.C. producer / sound designer Tony Cruise (formerly known as Tony Kill) makes music for you to get lost in, however you feel fit. Late in 2017, he shared a gorgeous, simultaneously sparse and full EP called Thought Crimes, a largely collaborative effort I’ve previously described as “groovily ambient.” A wild slow-bounce bootleg later, he shared May’s African-American Psycho, a collaborative tape with D.C. rapper SIR E.U, 10 abrupt, sometimes-muddled, and beautifully thrash-y genre-swirling tracks. He also composes music for visual campaigns by the likes of Teyana Taylor to MissGuided. Ahead of the release of his upcoming EP Replica®, out November 15th, Cruise shares a new FADER Mix. It’s hosted by collaborator and D.C. producer and DJ LeDroit, and is an almost-50 minute ride that will get your blood pumping with some dance tracks, settle you in with a few smooth selections like Mr Twin Sister’s “Top and Bottoms,” picks you back up in the middle, and then floats you home with space-y tracks like kthryn’s “augsboi.” Jump into it below, and scroll on for a short convo with Cruise and the full mix tracklist. Ideally, hydrating on a one-way flight. That’s a layered question though since the listening platform kind of sets its own code of conduct nowadays. “Tops and Bottoms.” radio.mrtwinsister.com is now streaming [their new project] Salt. I've recently been fascinated with authors and designers on the margins or outskirts of the Sound medium. Professor Clyde R. Taylor as recommended by Grant Strudwick. Lectures by Dr. Marimba Ani as recommended by Mason Olunade. Works by artist Mandy Harris Williams whose positive imagism extends beyond dialogues on representation to seriously different visions of society. Georgina Johnson whose Laundry Service campaigns from a year and two ago I love. Wekafore. Crystalline jackets from Brashy Studios. Henri Alexander Levy. Teenage Jesus and the Jerks... Imperfect artists divorcing violent narratives from artistic elegance. I know you work as an engineer at NASA. Does your work or interests in that realm inform your music? If yes, how so? I think my role there got sensationalized in print once or twice and then folks started to run with it so I plead the fifth. I will say that the design of its facilities would naturally inform one's sensibilities of proportion and permanence. Ideally this mix is as pleasantly cacophonous and dimly lit as the deafening corridors one would expect to traverse at a facility processing space flight hardware. You’ve got your next solo EP Replica® coming out soon. What can you tell us about it? How did it come about? Replica® will be independently released and available November 15th. It is imperfect cinema for the ears. Art direction is driven by Et Cetera, who assists in equipping projects with the necessary resistive capacity and beauty to repel cultural absorption and to dupe the gimmickry of mass communications. Scott Franka, “Tool / De Lichting één"